Home / Beauty / It’s Prime Time! Minimises appearance of pores, lines and wrinkles by filling them in. Corrects skin colour and evens out your skin tone. Allows makeup to look fresh and last longer. It took me a while to add foundation primer to my makeup routine. And when I finally did, there was no looking back. 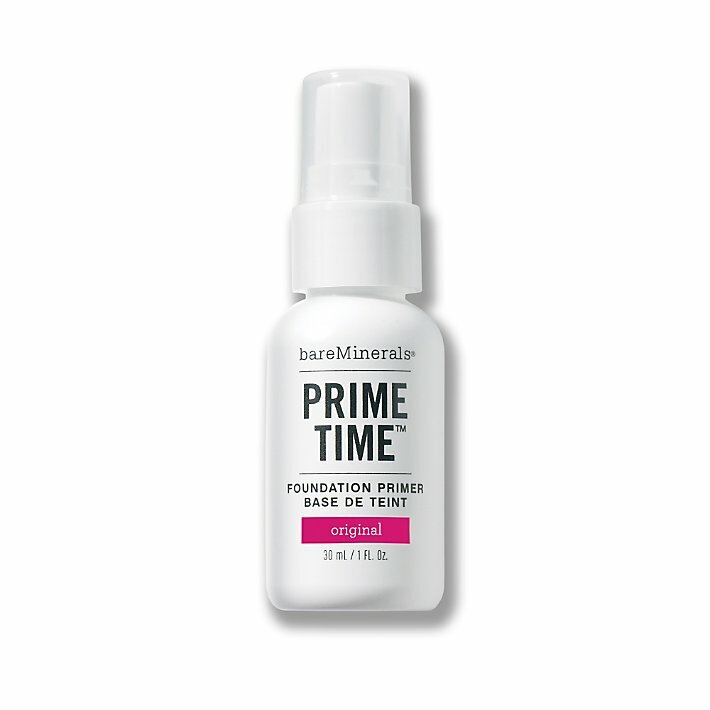 I am obsessed with my bareMinerals Prime Time Foundation Primer and can’t recommend it highly enough. It leaves my skin feeling silky soft and smooth and makes a world of a difference to the final look. The primer helps the foundation stay fresh all day long and, I have to say, I feel incomplete if I don’t use it. 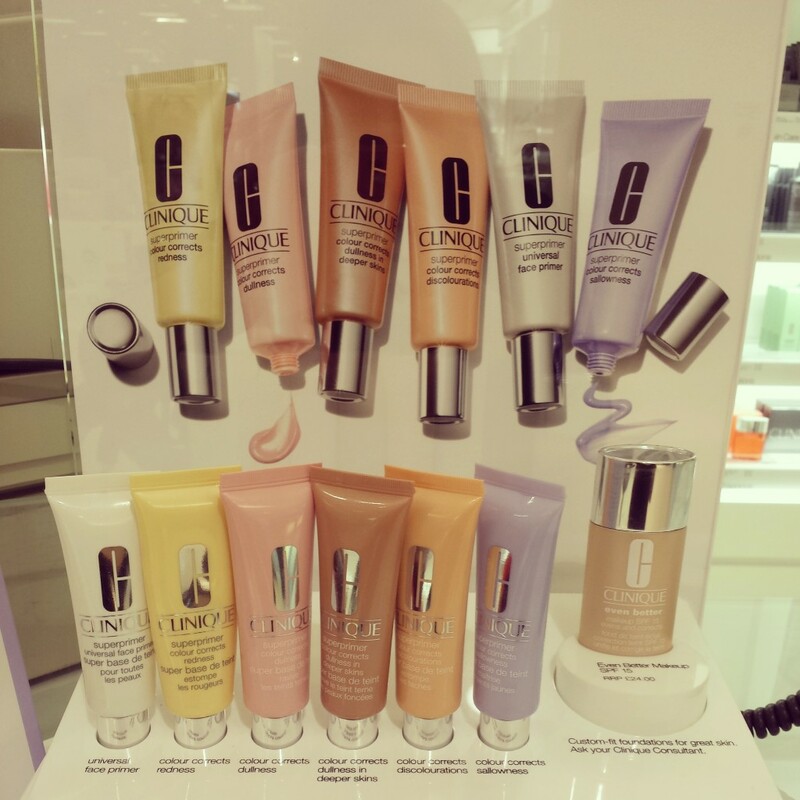 Clinique recently launched a special range of ‘Superprimers’ that includes 6 primers addressing a number of skin concerns from redness and sallowness to dull skin and discolouration etc. 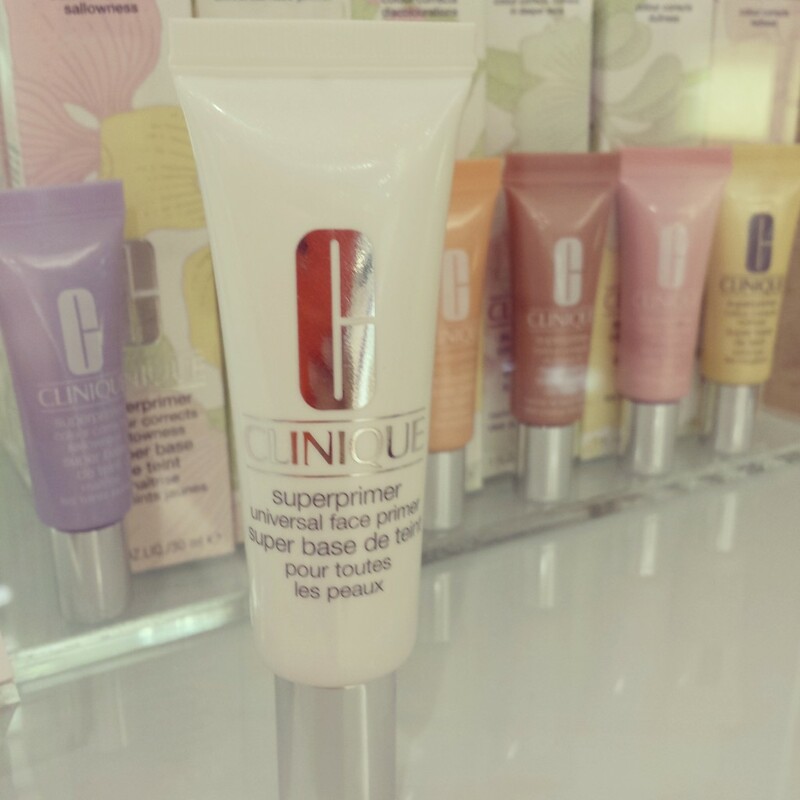 The Clinique Consultant at my local Debenhams store gave me a sample of the Universal Face Primer from the Superprimer range to try out for the blog. The Clinique Universal Face Primer is quite creamy in consistency but lacks the velvety feel of the bareMinerals Prime Time Foundation Primer. It feels quite different during application but the job still gets done. I tried out the universal, non-tinted primer but the tinted ones look great and I will definitely keep them in mind for the future. Foundation primers are an extremely effective product but it is important to do your research and choose wisely, especially if you have a sensitive skin. 3 thoughts on : It’s Prime Time! Oh my God! I was looking @ make-up products, esp foundation primers. The Clinique ones seem overpriced here in the UK. Is the bareminerals foundation primer recommended for sensitive skin? Will try it to see how it looks on me lol. By the way, Clinique’s foundation stay matte oil free is EXCELLENT esp for sensitive skin like mine. It gives a nice finish and does not make a person look cakey. Yes, try the bareMinerals Primer as it is def recommended for sensitive skin. I love the way it feels on the skin – so velvety and soft and its much easier to blend concealer and foundation after the priming. I use the bareMinerals powdered foundation for a natural look and a Chanel liquid when I want more coverage. Haven’t tried Clinique foundation since college hehe will def give it a try again. I heard their concealer is great too!